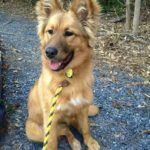 Tenacious, protective, and dedicated, the German Shepherd Collie mix is a dog that can win anyone over with her fierce loyalty and gentle nature. Full of energy and highly intelligent, this crossbreed definitely knows how to light up a household! 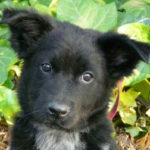 Are you thinking of adopting a new little Shollie into your home? 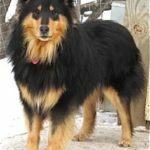 Here are seven facts about the mix that will have you falling in love with this unique breed. #4 Get Ready for Affection – and Lots of It! #5 As Smart and Witty as a Whip! Is The Shollie For You? 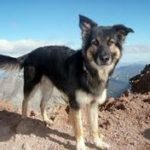 No one seems to know who bred the German Shepherd and the Border Collie for the first time, but the popularity of this crossbreed has been growing continuously ever since. 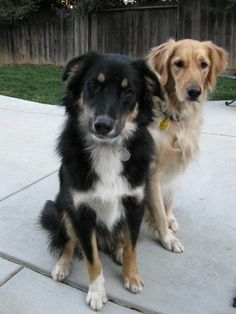 The special thing about these dogs is their spectacular looks, more similar to a purebred than to a designer breed. 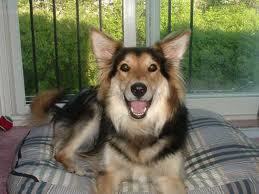 They have aspects of a German Shepherd, with beautiful coats, large and athletic bodies, and expressive eyes. 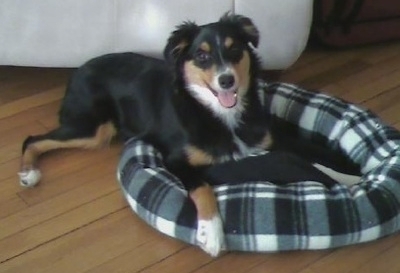 The only things that betray them are the less hairy tail and the floppy ears, both inherited from the Border Collie. 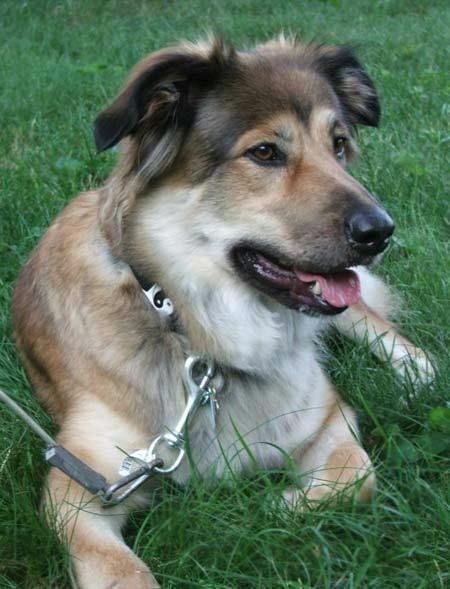 Most of these dogs have a tan colored coat, but you can also find black and, in some rare cases, white Shollies. There’s no denying that different breeds of dogs require differing levels of dog-ownership expertise. 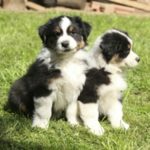 That’s because they come with varying personality traits, maintenance needs, grooming requirements, and health issues that can make them much more challenging for first-time owners. With the Shepherd Collie Mix though, that won’t be a problem. 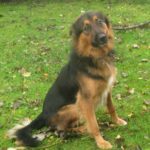 In fact, this crossbreed is often praised for being one of the ideal pets for first-time owners because she’s low maintenance and trainable. 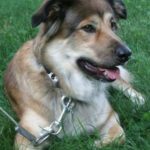 All of these character traits come from the dog’s lineage – both of which are considered some of the most comfortable breeds to own. Of course, that thick, long coat will need regular brushing to avoid tangles and poor skin health. 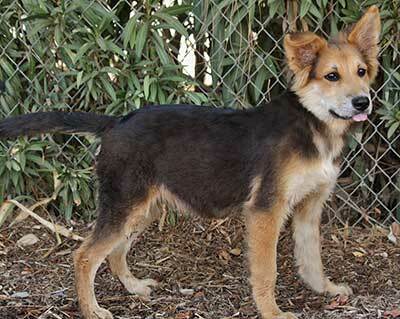 But other than that, there’s very little you’ll have to complain about with the Border Collie German Shepherd Mix. 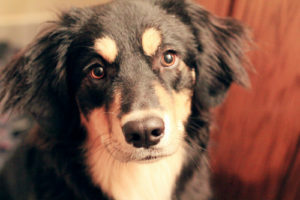 Coming from two of the most energetic dog breeds known to man, she’s easy to see where the Shepherd Collie Mix gets her vigor. 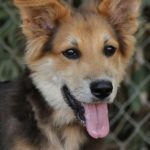 The German Shepherd is a highly active breed, developed for work and activity which means they require regular physical exercise. The Border Collie, on the other hand, was bred to be a farmhand, making the breed tireless and tenacious in whatever activities she’s tasked with. 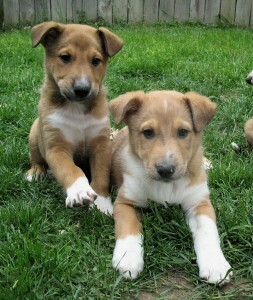 Thus, the combination of these two breeds results in an explosion of high energy! So it’s always best to think of your own personal activity levels before adopting one into your home. As an owner, you need to make sure your Shollie gets the activity and physical exercise she requires. And the best way to do that would be to adapt an active lifestyle yourself (no, this dog is not suitable for couch potatoes like you, Josh. Sorry 🙂 )! While being playful, Shollies also do quite well on their own, so you can leave them alone at home for short intervals without worrying about them destroying furniture or getting too lonely. 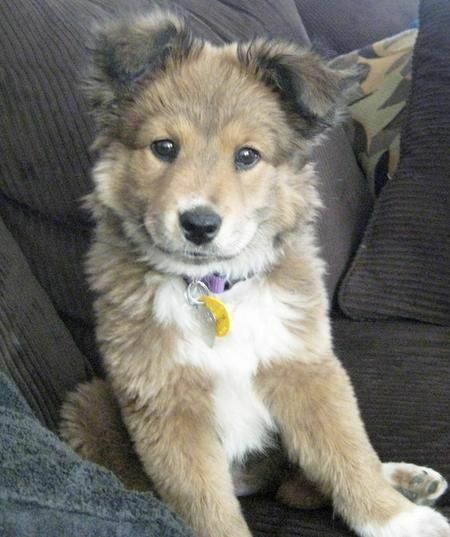 So, what activities can you give a Shepherd Collie mix to keep her happy and healthy? You don’t really need to come up with complicated obstacle courses or elaborate outdoor plans. 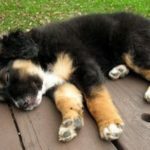 Something as simple as giving your dog some fresh air at regular intervals throughout the day should be more than enough to keep him satisfied. 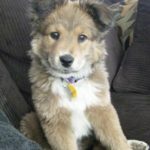 According to doctors of veterinary medicine like Amy Moore and Charlotte Cummings, a Shollie requires at least 2 walks every day or a minimum of 2 hours of activity on the daily. 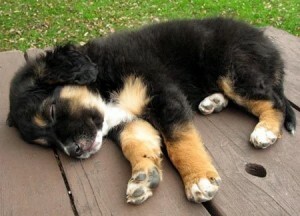 But of course, adding more than that wouldn’t hurt and would definitely make your furry friend even happier. 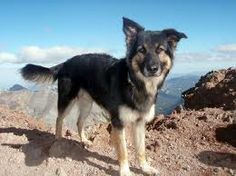 Both the German Shepherd and the Border Collie are known for their affectionate nature. These breeds simply love snuggling and getting attention from their owners and their family unit, so it’s no wonder why the Shollie boasts the same personality trait. A Shepherd Collie loves playing with her owners and will often eagerly await the next time you pick up the ball for a fun round of fetch. So be sure that you’re always at the ready to gratify your pet with a game, a belly rub, or simply a snuggle when she makes an effort to ask you for some fun. Despite being naturally loving and sweet towards their owners, however, the Shollie can manifest a wary side. 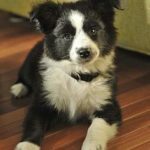 When in the presence of people or other animals that they’ve yet to get warmed up to, Shepherd Collies can be guarded and cautious. 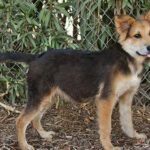 Of course, this won’t commonly result in aggressive behavior, but if the pup does feel threatened, she might start barking or snapping to protect her owners and territory from perceived threats. How can you prevent this type of behavior in your Shollie? According to experts, exposing your pup to crowded, high activity environments early on. 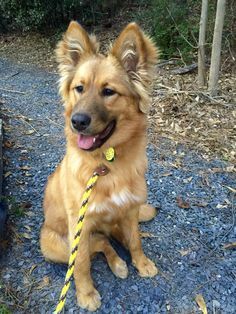 The more you bring your Shepherd Collie out for walks, trips to the dog park, or simply out around the town with you while you’re running errands makes them better adjusted to strange situations and unfamiliar people. Sure – they won’t cuddle or lick a stranger the same way they do you! But it will make them more capable of controlling their impulses when a guest or visitor walks into your home. 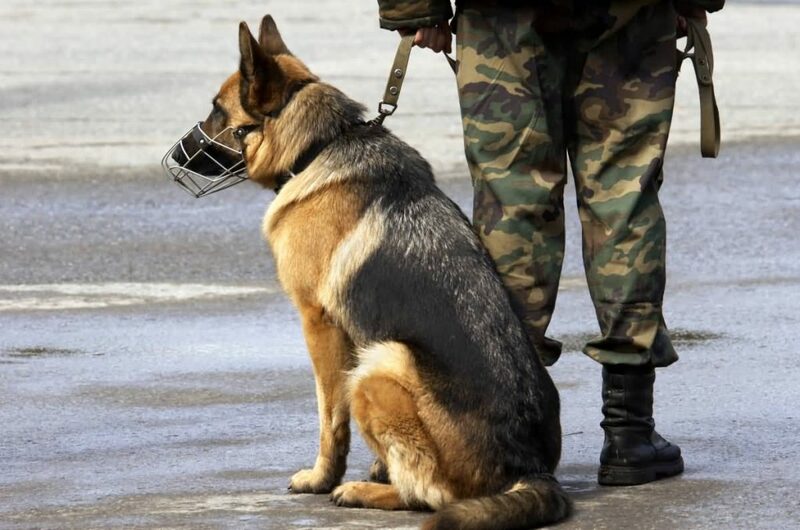 Police and military forces all over the world commonly use the aid of German Shepherds for a variety of tasks that would otherwise be impossible for people to perform! Sniffing out bombs, illegal substances, and other security threats are just some of the nifty tricks that German Shepherds can be taught. 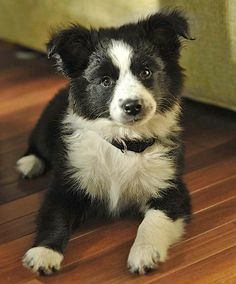 Border Collies, on the other hand, are known to be some of the smartest and most trainable dogs around. This breed quickly takes a number of tasks and jobs with simple repetition. 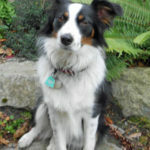 Plus, the Border Collie is happy when she’s given something to do, so she will gladly get a bunch of doggie chores done without a moment’s pause. 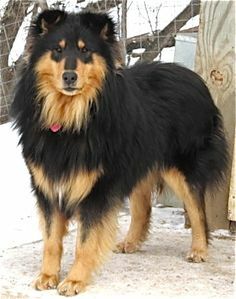 With this type of lineage, you should know that the Shepherd Collie is just as smart. 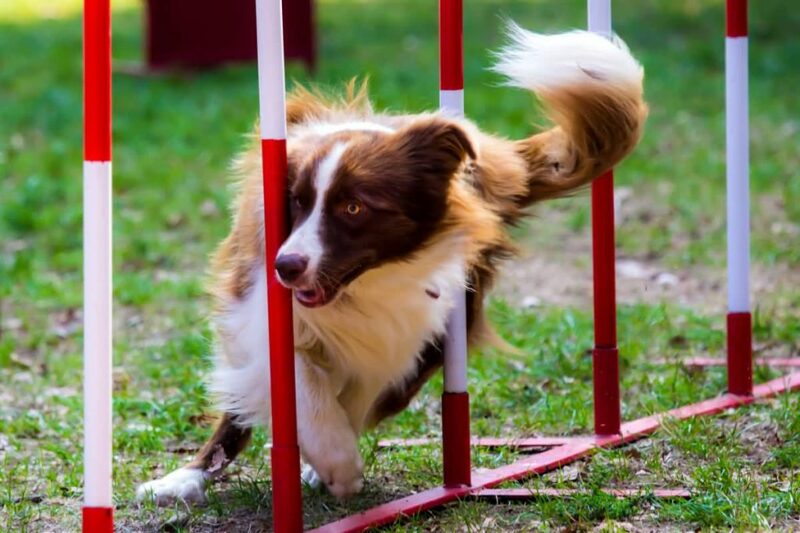 This dog breed loves mental exercise and will often look for something to stimulate her ever active mind. 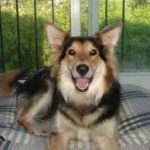 So as her owner, you should be ready with a few cognitive puzzles, games, and tasks that will help give your dog the mental exercise that she needs. For instance, before taking him out for your next walk, think about the place you plan to visit. Instead of going for the typical trail you always follow, consider other areas with more varied smells, sounds, and sights. 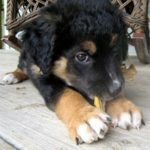 Something as simple as exposing your dog to new sensory experiences can give them that well-deserved dose of cognitive training. 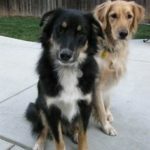 What about dogs that are frequently left at home? As much as possible, I advise you bring your dog along with you when you run errands or go out because this can also give him a chance to stretch his mental muscles. If you really have no choice but to leave your dog at home though, you can keep him preoccupied by putting together a few simple puzzles he can do while you’re gone. A fun activity you can leave behind for your pup is “hunting” for kibble. Just hide the kibble in areas of your house where your dog is free to explore, and it will keep your Shollie thoroughly entertained for hours on end. 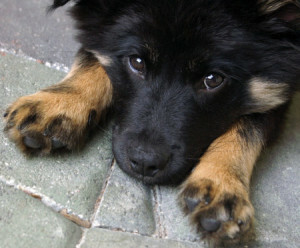 Being that the Shepherd Collie is so trainable, it’s potentially one of the best guard dogs you can have in your home. 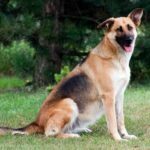 This is mostly thanks to the breed’s German Shepherd lineage, which gives her the innate instinct to protect and guard the members of her family. 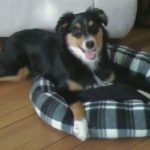 This – in combination with the Collie’s unrivaled wit – makes the Shollie very easy to train to keep your home protected from possible threats and dangers. 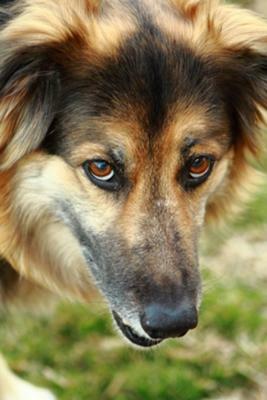 So, how do you go about teaching your Collie Shepherd Mix to alert you in case of an intruder or threat? The first step would be to teach them to stop barking on command. The Shollie’s high energy makes her prone to getting snappy and loud, especially if you don’t take the time to regulate her barking! 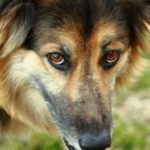 Start with teaching your dog to avoid barking if the person uses the front door or rings the doorbell, as this doesn’t necessarily signal the presence of danger. Once your Collie Shepherd perfects this, you can then start teaching her when barking would be acceptable behavior by simulating an intruder or threat. Ultimately, what you want to teach your dog is the ability to discern between harmless guests and potential intruders by showing them the way that threats would behave. For instance, a person walking up to your doorstep, knocking, and ringing the doorbell isn’t likely to be someone who wants to harm your family unit. So your Shollie should know not to bark or alert you in these instances. Watch this video for more advanced tactics on stopping people aggression in dogs. But when the pup sees an unfamiliar person walking around your home, trying to open up doors and windows that guests don’t typically enter through, or trying to breach your home’s perimeter otherwise, then they can let out their loudest bark! 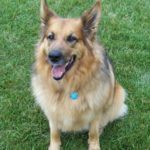 One of the things that can make dog ownership difficult and challenging is the presence of disease or illness. 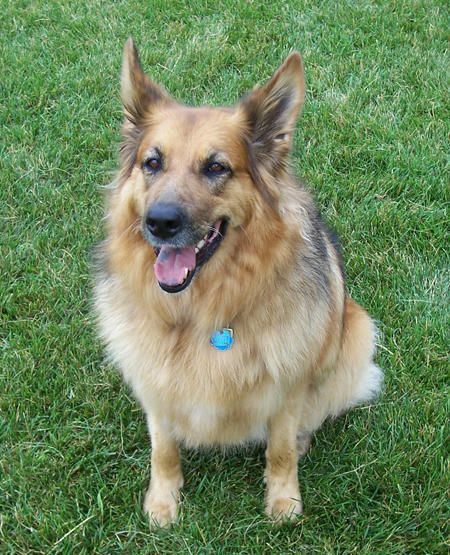 Some dogs are more predisposed to certain health problems just because of their build and lineage. With Shollies however, that won’t be too much of a problem. 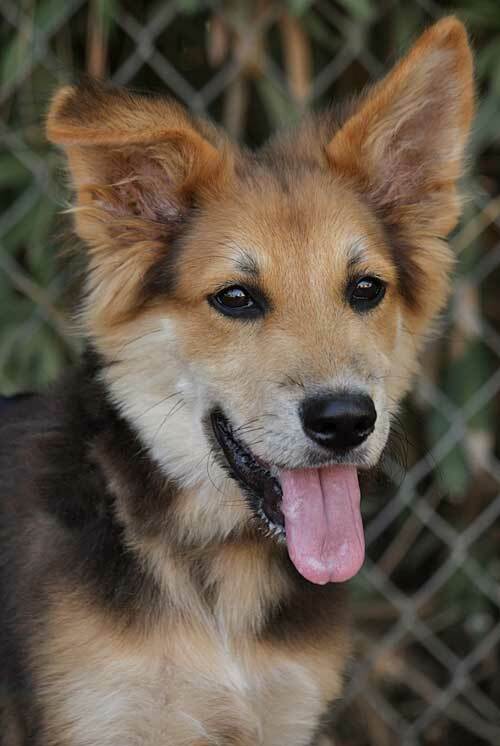 Responsibly bred Shepherd Collie Mixes will live up to 15 years of healthy life with little to no incidences of disease or illness! These dogs are proudly some of the healthiest you’ll find, and will rarely give you a reason to drive to the vet. Of course, the parent breeds do have their own health problem predispositions that can be passed on to the mix. 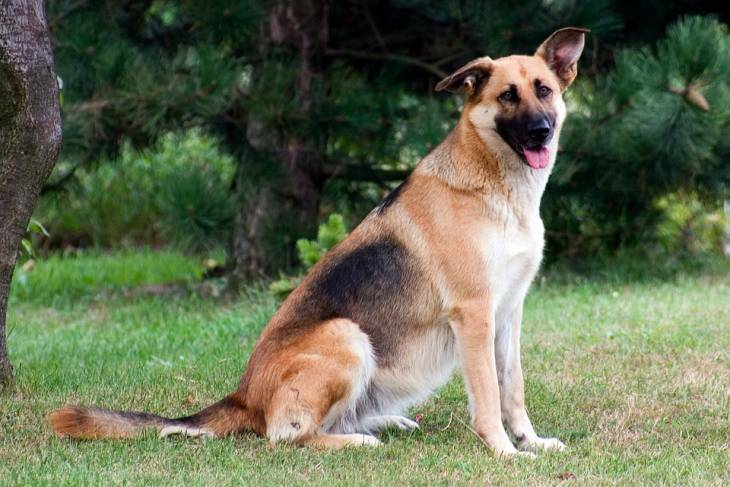 For instance, German Shepherds are notoriously prone to hip dysplasia. 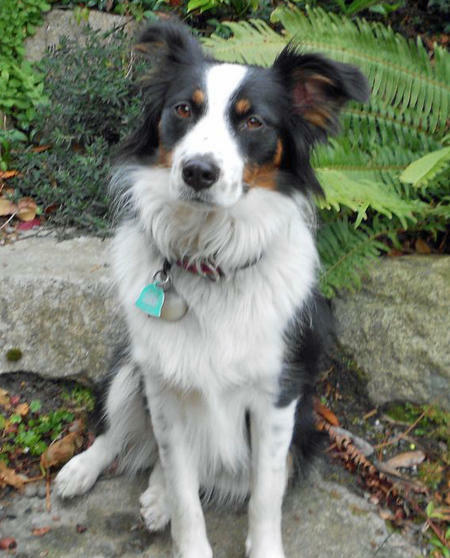 Border Collies, on the other hand, are known to be commonly afflicted with epilepsy. 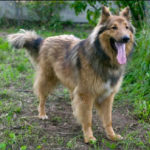 While there is still a chance that your Shollie might inherit some of these conditions from her parents, a Shepherd Collie Mix that was bred from relatively healthy parents aren’t likely to manifest most of them. 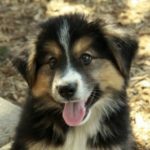 So before you go on and adopt a Collie-Shepherd, be sure to check for papers and do your research on the breeder to make sure you’re getting a healthy pup. What a Shollie really needs is an owner who can keep up with their high energy, their wit, and their affectionate nature. 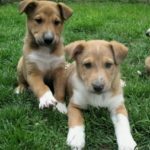 So if you think you can satisfy all these doggy needs, then you’re in for a long, loving, and happy companionship with one of the best mix breeds in the world. 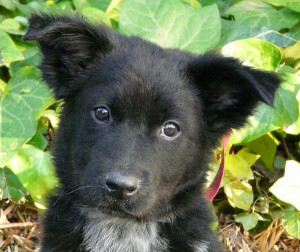 If you’re thinking about adopting a German Shepherd Border Collie Mix, or if you’ve already got one in your home and you have a few questions, leave a comment down below and let’s start a conversation! 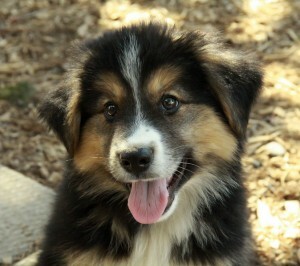 Looking for German Shepard Border Collie mix puppies like he photo number 8, 11, 13 is there any breeders in Alberta?